Constructed using an innovative developer-led, design-build model, the PFC Floyd K. Lindstrom Department of Veterans Affairs Outpatient Clinic is a medical outpatient clinic designed to provide better quality service in closer proximity to the large veteran population found in the area. A key design feature is a three-story central atrium lobby with a stunning western views of Pikes Peak. Engaging early in the competitive RFP process, BranchPattern played a key role in the team’s efforts to balance first costs with the long term operational costs. 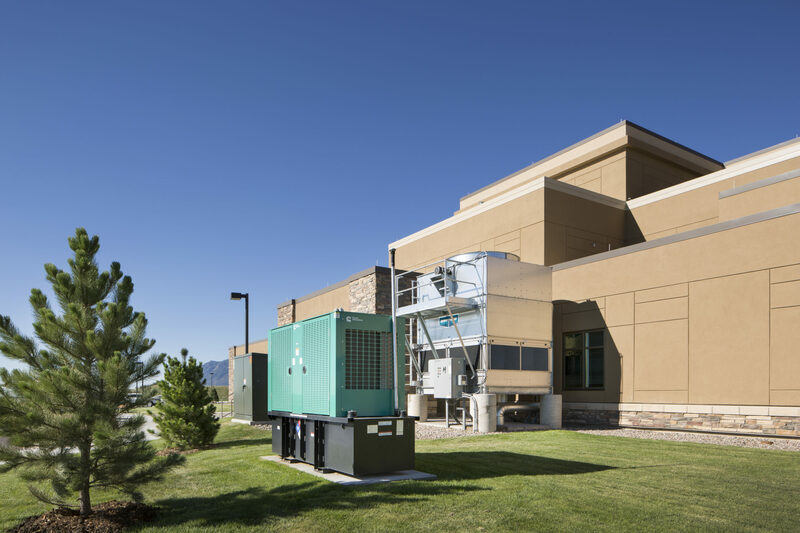 Through multiple rounds of analysis, balancing both cost and energy use, the ultimate approach selected utilized a high-efficiency water source heat pump (WSHP) system, combined with evaporative cooling to take advantage of the high internal loads and dry climate. 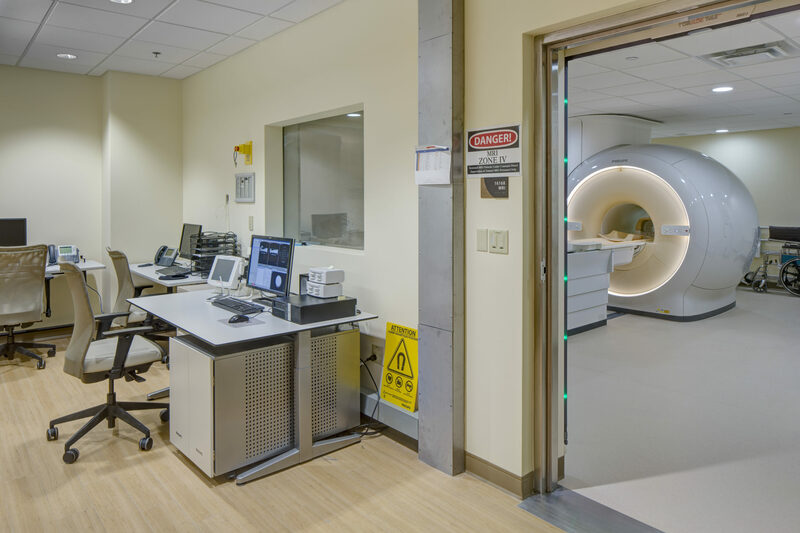 Ventilation air is provided to the facility through energy recovery ventilators (ERVs) which are equipped with humidification to maintain optimal humidity levels in the facility. Since the square shaped building has a fair amount of interior and exterior zones, it was determined to have very little heating requirement. 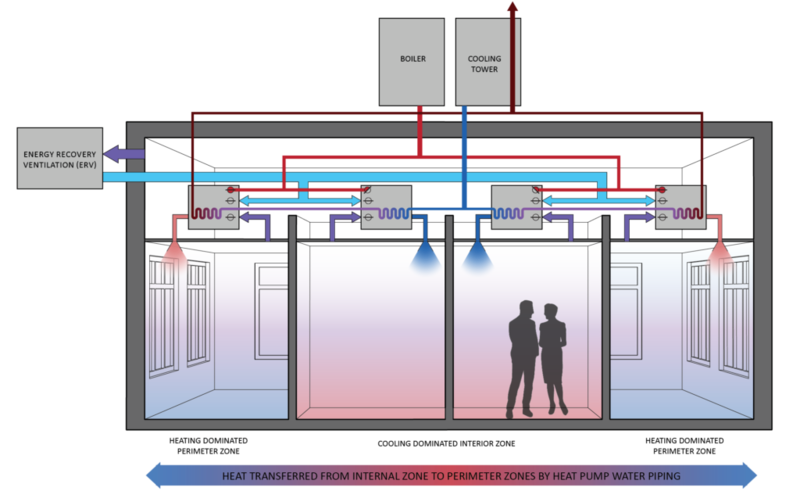 Therefore, the mechanical systems were designed to capture internal heat gains and move them to the external zones when outside temperatures are low. This strategy reduced the frequency of operation for the central boiler, and contributed significantly to the overall energy savings.